Ashbee Design: Zig Zag Village - It folds up! Zig Zag Village - It folds up! 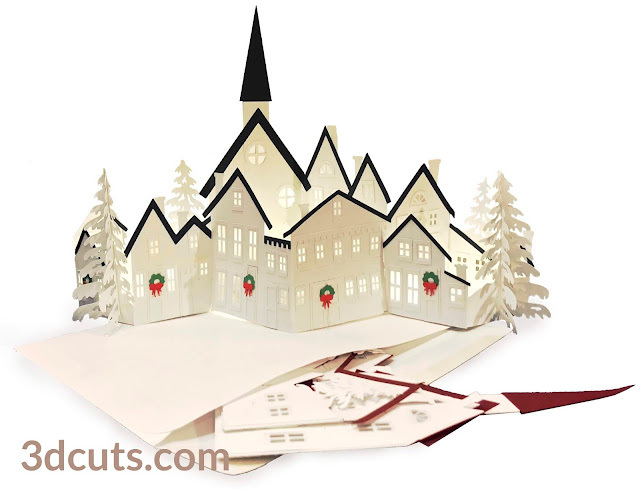 Fellow crafters - It is never too early to start our Christmas crafting. Yesterday I released a new project that will get you started if you haven't already. Check out my new Zig-Zag Village. 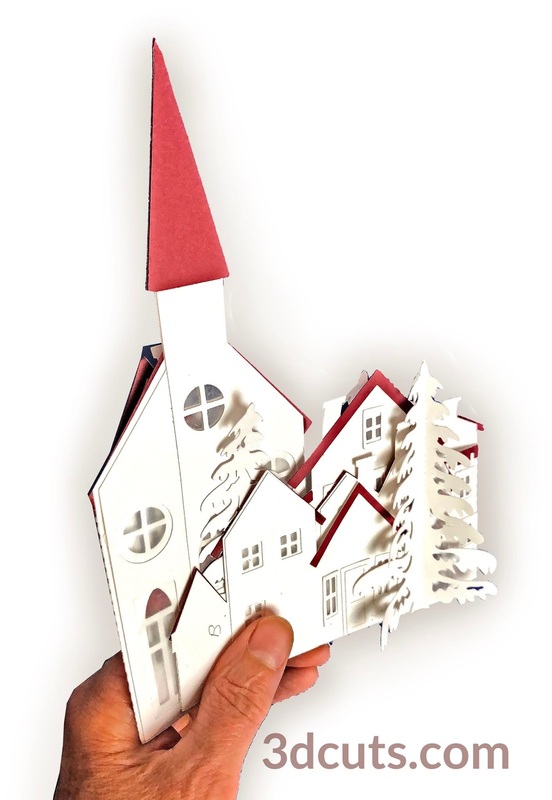 I designed this because so many people have commented on how they love Tea Light Village but don't have storage space. I wanted to design a village that folds flat. And Zig Zag Village does just that! Of course this opens up the possibility of mailing it as a gift so I designed it to fit in a standard 6" x 9" booklet envelope. The village is filled with charming details like window and door frames, porches and Christmas Wreaths. You can light it with standard LED tea lights or there are included bases for installing LED fairy lights. Directions for all of it is included in the online tutorial which is complete with video assembly instructions. And below is a short video showing the ease of the folding.